Let me introduce you my envelope clutch I made for a clutch-along.. I do not have time this week to make any garments. A little busy moving to a new locality. But I felt I did have time to participate in the clutch-along at SeeKateSew blog . 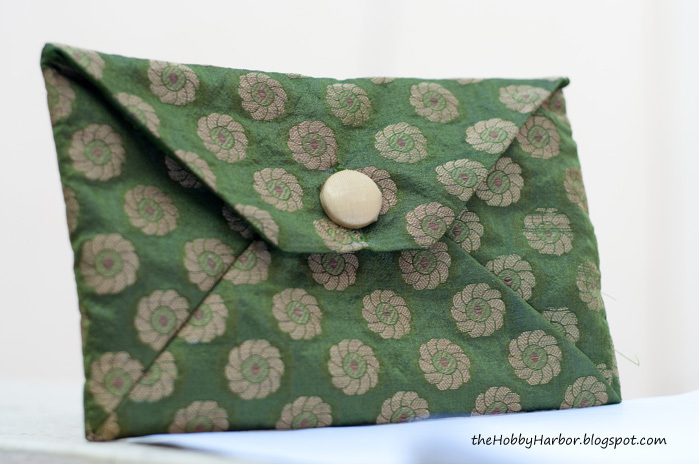 And I completed this envelope clutch. I used a fabric covered button. I covered it with gold tissue fabric. So what say ..Did you like it ? Were you also a part of this sew along . 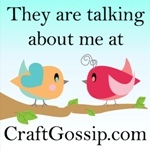 See you soon I will share more updates after I get back to some more real sewing. Love the fabric! Does it coordinate with your green chevron skirt? Love the design. Great scale. Great job, very professional. This is a beautiful clutch. 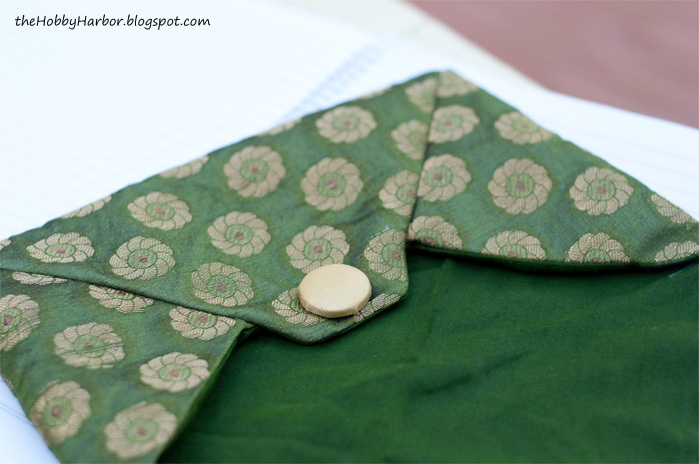 And I love the lovely green brocade fabric and your modifications. Very classy! Oh wow...this is really nice! I would love to try and make one for my grab and go coupons. Nice work! This is such a beautiful clutch! I love that depending on the fabric it could be fancy for a dressed up look or just a fun every day clutch! Oh that brocade is gorgeous! I love that it has a slight sheen to it. Great job! LOVE this - the fabric is amazing. Im sad I missed this clutch along... Looks like fun! A great look and so timely for St. Patty's Day. :D Thanks for sharing. Great job on altering the pattern to suit your needs, Diya!!! A happy hello and a warm welcome! I love to design and sew. 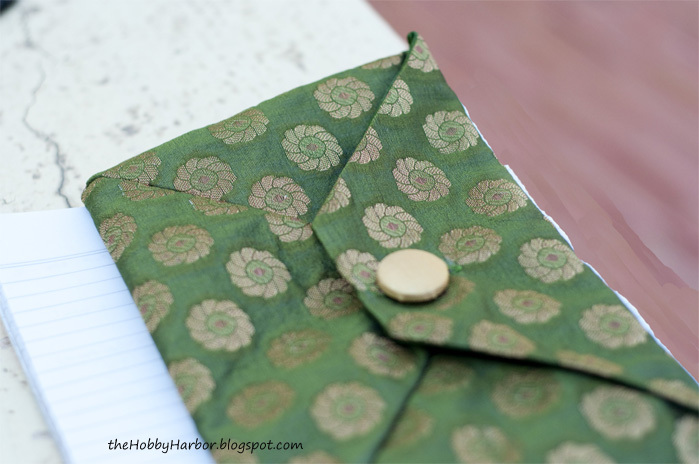 This blog is all about my sewing adventures.Hope you will have fun browsing through. 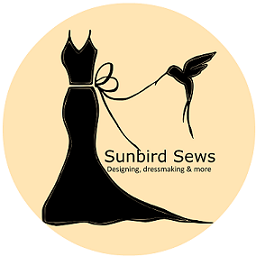 You are a sewing enthusiast too ? Stay connected,ok :) ? 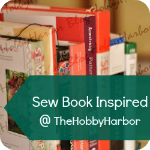 Do you read books on sewing ?? Please do not use any images without permission. Simple theme. Powered by Blogger.